SIDES, SAUCES & CONDIMENTS | What's for Dinner? Posted on June 20, 2017 by What's For Dinner? To a large pot of boiling salted water, add the haricots verts. Bring back to a boil, and cook about 2-3 minutes or until crisp-tender. Drain and immediately plunge beans into a large bowl of ice water to stop the cooking. Drain and pat dry. For the dressing, whisk together the orange juice, zest, vinegar, honey, and some salt and pepper in a large bowl. Gradually whisk in the olive oil until emulsified. 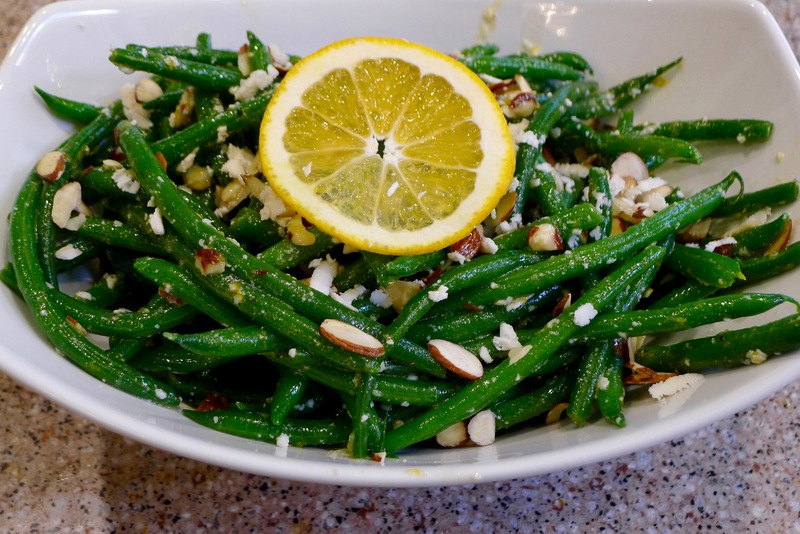 Combine the haricots verts, almonds and about half of the ricotta salata in a serving bowl. Pour some of the dressing over the top and gently toss to coat. Taste and add dressing a little at a time adding salt and pepper to taste. Sprinkle with the remaining cheese, and serve. 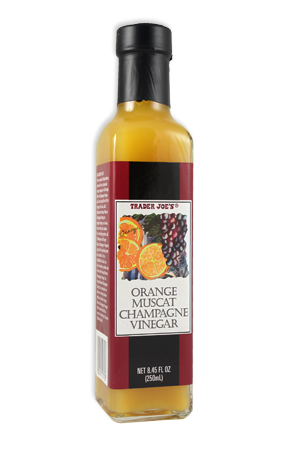 If you don’t have Trader Joe’s Orange Muscat Champagne Vinegar, use white wine vinegar. If you can’t find ricotta salata cheese, use feta. Posted on June 19, 2017 by What's For Dinner? Trader Joe’s is one of my all-time favorite grocery stores. Initially, I wasn’t so quick to hop onto their bandwagon, but fast forward and I’ve since become one of their most loyal customers! I truly love their products! If you’re still skeptical about all the hoopla, hop on over to one of many websites to see all the lists of some of the most popular products, and see what you’ve been missing. I’ll post my “TJ’s Favorites” list in a future post, but for now, here are a few you can check out. 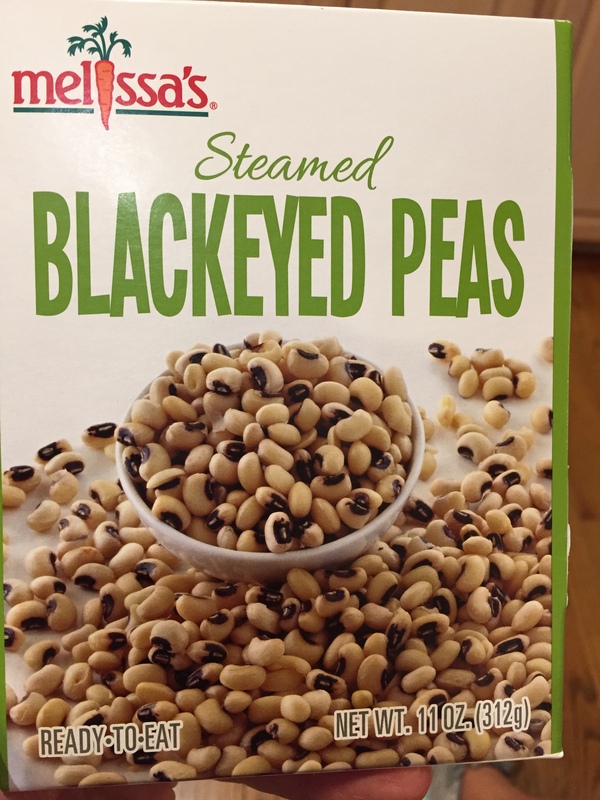 Today, though, it’s all about their steamed blackeyed peas. I’ve posted before how I love their steamed lentils (see this post), so I thought I’d blog about their blackeyed peas along with a great recipe to showcase them. 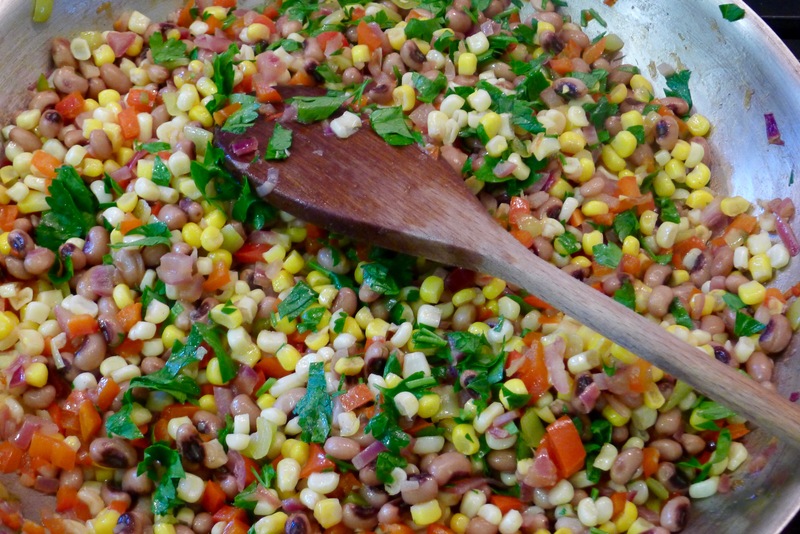 Since summertime is all about using the abundance of fresh garden produce, this succotash fits the bill. Feel free to add whatever produce you’d like to make it your own. Heat the oil in a large skillet over medium heat. Add the onions, bell pepper and chile and cook, stirring occasionally, until soft, about 5 minutes. Add the garlic, cook about 30 seconds more then add the blackeyed peas cooking another 2 minutes or so. Add the sugar and vinegar, bring to a boil, and cook, stirring occasionally, until the sugar dissolves, about 3 minutes. Fold in the corn and parsley and transfer to a serving bowl. Serve warm or at room temperature. Bobby Flay grilled 4 ears of corn then cut it off the cobb. In the essence of time, I used frozen and it was great! Posted on June 18, 2017 by What's For Dinner? Combine first 6 ingredients and sprinkle over tomatoes. 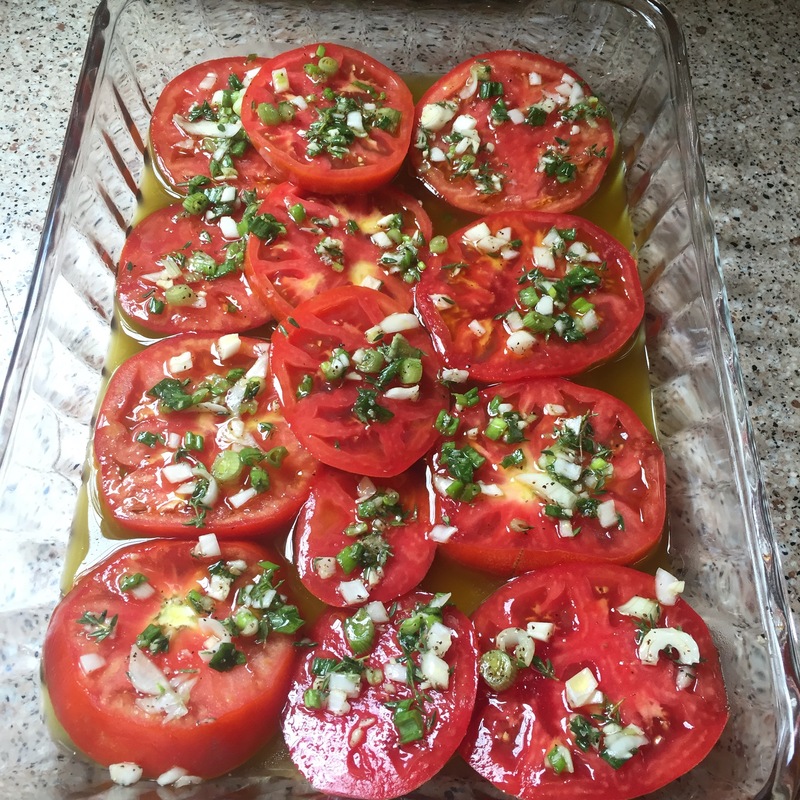 Mix oil and vinegar and pour over tomatoes. Cover and chill several hours or overnight. Spoon dressing over tomatoes several times while chilling, and drain before serving. Posted on February 2, 2017 by What's For Dinner? While perusing the internet, I ran across this chipotle-pomegranate glaze over on Simply Scratch. She had roasted a pork tenderloin in the oven and glazed it with this sauce. It looked and sounded delicious, but I had salmon out to cook that evening and wondered how the glaze would pair with my salmon. Just when I thought I had eaten salmon every way possible, I tried this and loved it! The smokiness of the chipotle chilies combined with the sweetness of pomegranate juice is just a party in your mouth! Heat 2 tablespoons olive oil in a skillet over medium heat. Add minced garlic and sauté just until fragrant, about a minute, taking care not to let it burn. Add chopped chipotle peppers and adobo, tomato paste, dark brown sugar, dried mustard, molasses and pomegranate juice to the skillet stirring to combine all ingredients. Simmer, and let reduce for 10-15 minutes until slightly thickened. Remove from heat, and stir in lemon juice. Heat an oven proof, non-stick skillet over medium-high heat. Lightly brush tops of salmon filets with olive oil, and season with salt & pepper. When skillet is hot, add about a tablespoon olive oil to the skillet, put in salmon seasoned-side down, searing until a light brown crust forms, 2-3 minutes. Turn filets over, and immediately place into the preheated oven. Roast 3-5 minutes or until cooked to your preference. Remove from oven, and top with glaze. Any unused glaze can be refrigerated for up to 3 weeks. This would also work as a glaze for a whole side of salmon either roasted or grilled. Posted on January 29, 2017 by What's For Dinner? Every once in a while, I try a recipe that becomes a family favorite and joins the ranking of those that get made over and over again! I found the original recipe for this salad in the “Cooking Light” magazine and made some changes and additions that I thought would be good. This dish has already graced my table several times in the last couple of weeks, and it will be added to my repertoire of quick and easy weeknight dishes. Except for the bagged broccoli slaw that is readily available in the grocery store, I’ve always got the rest of the ingredients on hand. 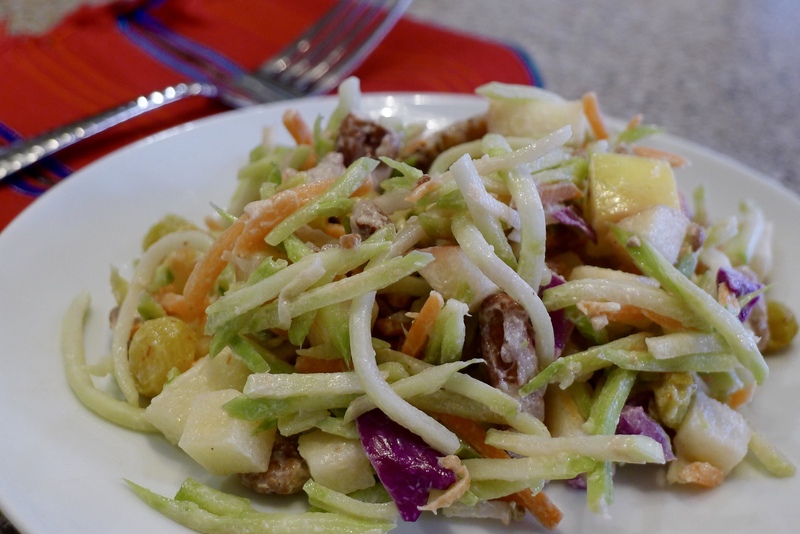 The dressing is sweet and tangy at the same time, and I love all the crunchy texture. Whisk together mayonnaise, vinegar, horseradish, sugar and salt in a large bowl. Add slaw, apple, raisins and pecans. Toss to coat. Posted on January 15, 2016 by What's For Dinner? One of my favorite things about fall is the arrival of Meyer Lemons. These lemons are a citrus native to China and are thought to be a cross between a lemon and an orange. They’re sweeter and less acidic than the regular lemons we see in the grocery store, and they have a thinner skin that’s slightly orange when ripe. Recently, I was lucky enough to be gifted a whole passel of them! There were several dishes I wanted to create with my new bounty, but after tasting this lemon curd at a recent dinner party (it was spread over the top of a cheesecake), it was high on my list to make! This is Ina Garten’s recipe from her cookbook, “The Barefoot Contessa”. I love her easy and approachable style to cooking, and this lemon curd BURSTS with lemon flavor! It’s absolutely delicious served over toast or english muffins in the morning, on shortbread with a cup tea in the afternoon or just eaten right out of the spoon any time you need a quick trip to lemon heaven!! Wash lemons and dry well. Remove zest by using a potato peeler, avoiding the white pith. Place the zest into a food processor fitted with a steel blade, add sugar and pulse until finely minced. Cream the butter in a mixing bowl then beat in the sugar/lemon mixture. Add eggs, one at a time, then add the lemon juice and salt and mix until combined. Pour the mixture into a 2 quart saucepan and cook over low heat until thickened (about 10 minutes), stirring constantly. 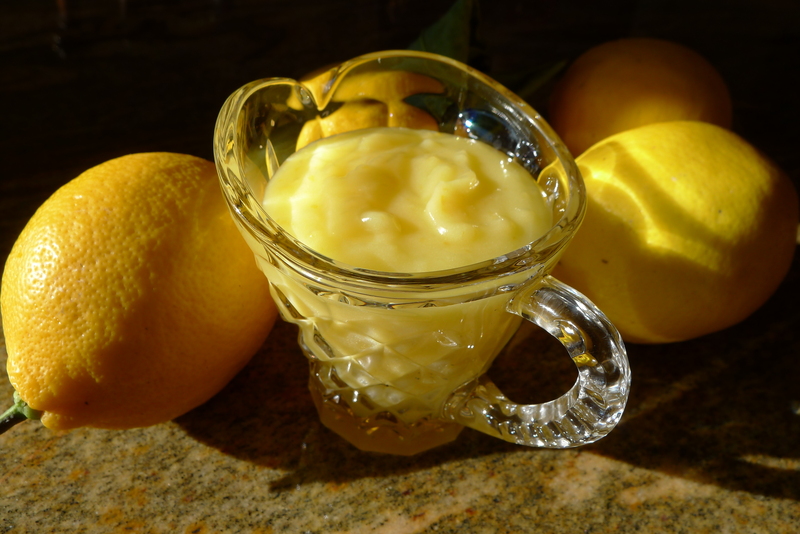 The lemon curd will thicken at about 170 degrees F, or just below simmer. Remove from the heat, let cool and referigerate. Posted on March 17, 2015 by What's For Dinner? My family loves brussels sprouts. I didn’t care for them as a kid, but they’ve turned out to be one of TBP’s (Teenage Bottomless Pit’s) favorite veggies! While I normally roast them with chopped duck bacon (yes, I said “duck bacon”…try it and you’ll be hooked, too!) 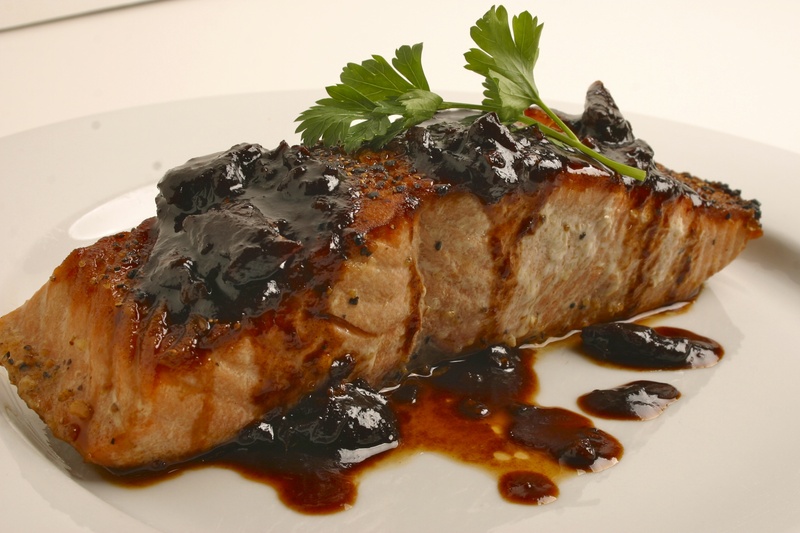 and then drizzle with a balsamic glaze, I’ve been seeing lots of recipes lately using them raw and shredded. I was intrigued. This salad is full of bright colors and different textures. I actually added cranberries and loved the contrasting flavors of the lemony dressing, salty cheese and sweet cranberries. 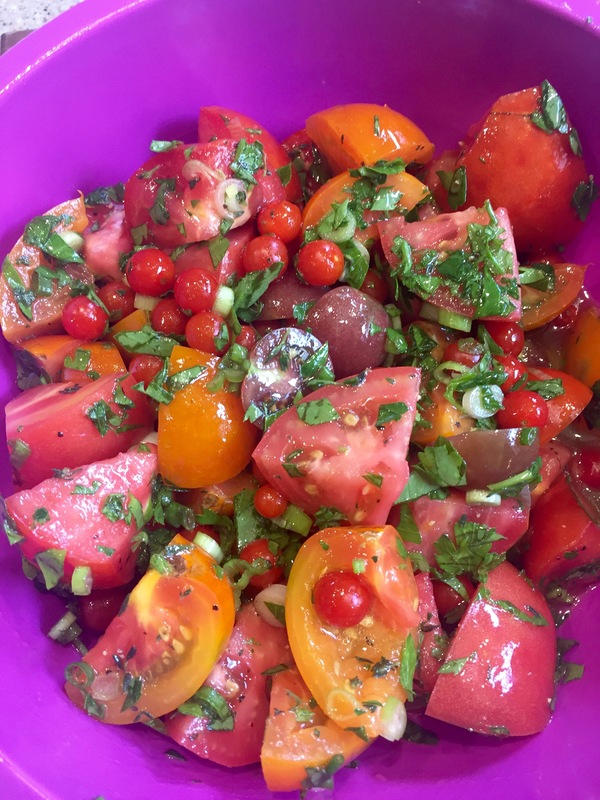 It keeps very well in the fridge and is still delicious on day 2–not many salads in THAT category! The recipe can be cut in half and will still make quite a large bowl, but, be prepared…everyone who tries it will love it and want the recipe! 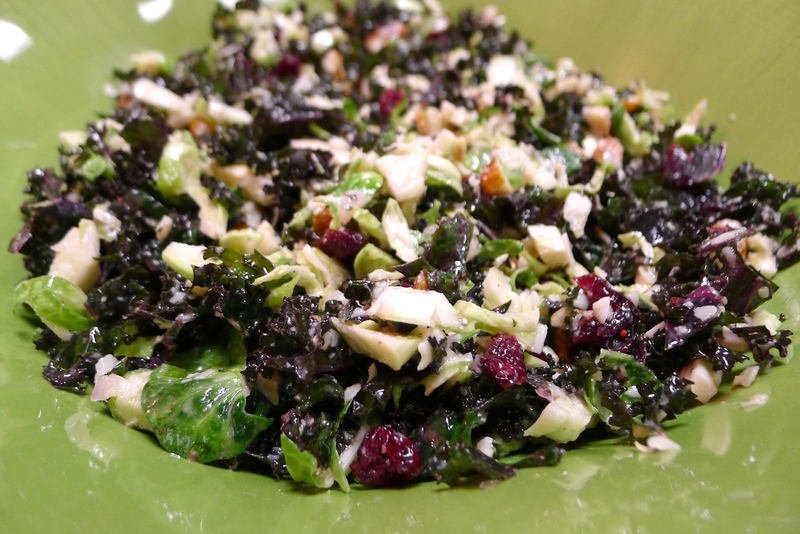 I do believe you could make converts out of those brussels sprouts haters with this one! Whisk lemon juice, mustard, shallot, garlic, salt and a pinch of pepper in a small bowl, and set aside for flavors to meld. Put ½ cup olive oil into cup. Remove 1 tablespoon, place into small skillet and heat over med-high heat. Add chopped almonds to skillet, and stir frequently until golden brown in spots, about 2 minutes. Transfer to a paper towel-lined plate, and sprinkle lightly with salt. Mix shredded brussels and thinly sliced kale in a large bowl. Add cranberries, grated cheese and almonds. Slowly whisk remaining olive oil into lemon juice mixture, pour over greens and toss. Check your grocery store to see if they carry pre shredded brussels sprouts. I know Trader Joe’s carries them. Be careful adding salt as the cheese lends it’s own saltiness. This salad can be made and dressed ahead of time. Actually, it’s better dressed ahead of time to allow the greens to soften a bit, and it’s just as good the next day! If you can’t find the pre shredded brussels, use a food processor for both the kale and brussels to save time. If you don’t like cranberries, chopped dates or apricots might be nice. Maybe even some pomegranate seeds! Be adventurous! For those locals who wold like to try duck bacon, I get mine at Gaucho Gourmet in San Antonio!